In the book, The Church's Open Heart, (Sretensky Monastery Press, [in Russian] 2014) the memoirs of Metropolitan Athanasios about elders—contemporary ascetics with whom he studied in a spiritual school—are collected, as well as the sermons and teachings of Vladyka, who is well-known not only to the Orthodox world, but also beyond it. Thus, what examples do elders give by their life to us Christians who live in a very complicated world today? And what can and must we contrast with the troubles that come crashing down on us like an avalanche? Our correspondent from Pravoslavie.ru talks about these questions and more in an interview with the archpastor of Limasol while he was in Moscow. We laypeople like stories about miracles very much, and about grace-filled gifts, but we forget somewhat about the price we have to pay for these things. Your book opens with a conversation about the holy elder Joseph the Hesychast. Tell us a little bit about the labors that he and his community performed, and about what lesson we laypeople can derive from this—without, of course, dreaming of duplicating it all. Elder Joseph the Hesychast lived on Mt. Athos, though I did not manage to meet him while he was alive, as he reposed in 1959. But I did get to meet all his disciples. My starets—Elder Joseph from Vatopedi Monastery—was a disciple, the first disciple of Elder Joseph the Hesychast, and so my monastic life began under the influence of his spiritual school. Elder Joseph was one of the most outstanding spiritual figures on Mt. Athos in the twentieth century. He was a great ascetic, but also a notable hesychast.1 His life was full of miracles and the activity of God and the Most Holy Mother of God. In spite of the fact that he was a hermit—that is, he did not go out anywhere—four of his disciples subsequently became the spiritual fathers of hundreds of monks. Right now there are approximately a thousand of us—monks who came from Elder Joseph the Hesychast. Out of the twenty monasteries on Mt. Athos, six of them were revived by spiritual children of Elder Joseph. We consider that his prayers and his presence greatly influenced our monastic life. We inherited three important things from Elder Joseph the Hesychast and his disciples: the first consists in the value of obedience—to the Church and to one's elder. The second, in taking part in the Divine Liturgy, in the Eucharist, that is, in regular Communion. And the third is the practice of mental prayer. Our whole monastic life was and is dedicated to these three important things. Elder Joseph the Hesychast was occupied in unceasing mental prayer for six hours every evening. He would spend eight hours at night serving the all-night vigil. Six hours were dedicated to mental prayer and spiritual reading, and two hours to the Divine Liturgy, which was celebrated daily. This all began at sunset. On Athos, if eight hours pass after sunset, it is already sunrise—especially in the summer. And after sunrise the fathers would rest a little, then, after a small breakfast—a cup of coffee or some kind of dried bread—they would work very hard in order to survive. In the afternoon they would have dinner, and after that they would lie down to sleep. An hour before sunset they would get up and once again perform Vespers by prayer-rope, have a cup of tea or eat some kind of fruit, and after sunset the all-night vigil would begin, which would last eight hours. His disciples lived by such a rule, and for some time we also lived like that. Today it is a great blessing that Elder Joseph's teaching has spread over the whole Orthodox world. But even Western Christians and people of other religions are interested in the elder and translate his few works into their own languages. Today laypeople are so busy that in the morning when they get into the car they turn on tapes of the morning rule, and glory to God, that they manage to do even this. What should laypeople do—contemporary people who are busy at their work but who should nevertheless pray and come to church? Prayer is the unceasing remembrance of God. God’s presence ought to be unceasing in our life. If we learn to say the Jesus Prayer, this little prayer: “Lord Jesus Christ, Son of God, have mercy on me,” if we fill all our time with addressing God, if we do the Jesus Prayer at all times—when we are taking a shower, eating, or when we are in the car (instead of listening to the radio), or when we’re in the subway, on a bus, or in church, that will be more than enough. The remembrance of God must accompany all the things that we do in our life. In your book, when you are telling the story about Elder Porphyrios, you cite this episode: A woman called him on the telephone, after he had already died on Mt. Athos. He answered her: “Don’t call me any more—I’m dead.” What did he do that for, when she could find this out by ordinary means? (Laughs) Yes, when she asked, “May I call you again, Elder?” he answered her, “You don’t need to call me any more—I’m dead” (Laughs). And the same thing happened to a nun on Cyprus. She heard about this occurrence, and, as she had very close ties with Elder Porphyrios, she started to get curious, and she decided to call him on the phone, wondering if he would answer her or not. He answered her, “Dear, what are you doing—experiments here?” and hung up the phone. Elder Paisios was your teacher. Two stories: when Fr. 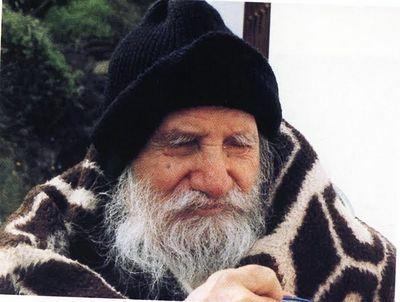 Paisios was on Mt. Sinai, at St. Catherine’s Monastery, they sent an imam there—and as is well known, there is a mosque on the territory of St. Catherine’s Monastery. The father superior wanted to complain, but Fr. Paisios said, “Wait, wait, we’ll say a prayer right now…” They prayed, and the imam went away and never showed up there again. The second case—when they were supposed to show the film The Last Temptation of Christ in Greece, and the elder blessed people to fight this, to protest. Where is the line here—when should we try to influence what is going on around us by prayer, and when must we express our position? Holy people such as Elder Paisios did not behave themselves in life simply by going by some sort of rule. Even in little life situations, before undertaking anything, they first prayed, received a notification from God, and behaved accordingly. 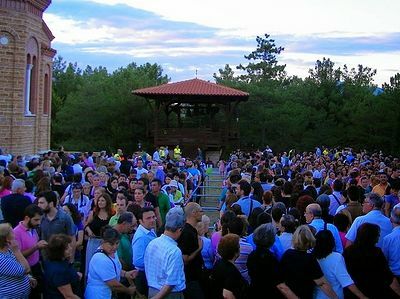 Elder Paisios never went out into the public, but in this case he went, in order to participate in this protest together with all of the people. I am sure that he did this after prayer, after having prayed. Even when some visitor would come to him, he would pray first, and only then would he open the door to him: that is, first he received notification from God whether to open the door to this visitor or not. Once I even asked him, “Elder, but they’re knocking at the door—let’s open it!” And the Elder answered that he didn’t have any directive from God to open the door to this person. That is, even in such simple things he had to receive notice from God. And all the more so, when this had to do with more serious situations. Therefore, we cannot establish any rules as to how we should behave in this or that case by some story, because the saints in each case prayed to God before acting. We shouldn’t think that if some protest is organized, that we must by all means participate in it, because Elder Paisios participated in one. Likewise, we shouldn’t say that we won’t go, because Elder Paisios didn’t go. We have to have discernment and discern God’s will in each separate case. In your book you also tell about St. Arsenios of Cappadocia, and there are such penetrating words there: “He overcame the torment of the saints.” And, telling about Elder Joseph, you talk about how he endured eight years of the cruelest demonic warfare. “Give blood and receive the Spirit.” What does “Give blood” mean for a contemporary Christian? How can he put this into practice? When Elder Paisios returned from Australia—he had gone there at the invitation of an Australian archbishop—I asked him what kind of people lived in Australia. How do they struggle, how are they saved, and do they love God? The Elder answered that he had met great people in Australia, because there people are saved through pain, through humility, patience and prayer. I think that this relates to all people who live in the contemporary world. Pain is present in every person’s life—in our personal life, in the life of our family, in the life of our country, in the whole world, in all of society. Wherever you look, everywhere there is pain, war, death, and problems. It’s enough to listen to one news bulletin and your heart is already filled with pain. Now we have the ability to get information from the whole world. And we must pray and display endurance in this whole situation. That is the way that will lead us into the Kingdom of Heaven. Not for nothing did the Lord Jesus Christ say to us: “In your patient endurance save your souls.”2 He did not tell us that it was through fasting or prayer—He said that it was through patient endurance. Patient endurance is the fruit of faith, and it is nourished by prayer. And all this happens within the Church. Since we have already begun to speak about patient endurance, I will ask you about the family—a good number of pages are dedicated to it in your book. Here, a great many people are only first-generation church-goers, and they do not have the experience of a Christian family—their mothers, fathers, and grandfathers. Where can they learn about the Christian understanding of the family? The Christian life is not complicated and not hard. The Christian life is simple. The Lord did not teach us things that are hard to put into practice. We have to fulfil God’s commandments with simplicity, live with the Sacraments of the Church, teach our children God’s Word and not worry, not get upset about what tomorrow will bring. The Lord told us that, first of all, we must seek the Kingdom of God, and He will give us everything else. Let’s take the first Christians—they didn’t even have a Gospel that they could read, because it hadn’t yet been written. But Christ was for them their Guide and Teacher. We people on Cyprus were in slavery for 800 years—about 400 under the Franks and 400 years under the Turks. They didn’t allow Greeks to get an education—all Greeks were uneducated. Priests learned the Divine Liturgy by heart. My grandmother didn’t even know how to write her name. Nevertheless, in the course of 800 years the people preserved the Orthodox Faith, and preserved their families, because they lived within the Church. And in the course of 70 years what preserved Russia? Absolutely, the Divine Liturgy preserved Russia and the whole world. And this little leaven was enough for all of Russia. In your book it tells the following story: a son complains about his father, that he drinks and is going out with another woman. And they tell him, “Look at this from another point of view. He is suffering and therefore he is acting like this.” How can we learn to put up with our close ones who, in our opinion, are behaving badly in some way? Then this person thought: “If I understand them, then I won’t suffer from the fact that they don’t understand me.” I also say this to people who complain about similar things. “My husband doesn’t understand me.” At that I tell her, “Understand him, and then your problem will be solved.” It seems to me that this works. Vladyka, you often talk about the upbringing of children. There is this problem: often children at 12, 13, or 14 years of age go out of church or don’t want to come to the services. What do you advise parents to do in such situations? If a parent concerns himself over his child’s upbringing from the moment of his conception—that is, when the child is still an embryo, because contemporary elders say that the upbringing of children begins even before they are born, even before they are conceived—if even then we begin bringing them up, then before they are 12 we can do a great deal. And when a child gets to be 12, 13 or 14 and he reaches adolescence and is going to “rebel” and “revolt,” then outwardly, doubtless, we will not be able to do much—but perhaps this isn’t even necessary, because we have already done everything before this. And in this case we must simply pray very hard. The Lord doesn’t worry, the way we start to worry. And He doesn’t panic. He doesn’t have any situations where He doesn’t know what to do. The Lord leaves a person his freedom, then He embraces him and leads him back to Himself. In one of your conversations you say that we have to show respect for each person, for his faith and culture, without detriment to his faith or culture. How was it possible to realize this under the conditions, for example, when Cyprus was enslaved for 800 years? Undoubtedly, those who enslave other people do not respect them. However, they can enslave our body, they can destroy our house, they can kill all the people around us, but they cannot take our soul. Metropolitan Athanasios of Limasol The Church’s Open Heart / Translated from the modern Greek by A. Volgina and A. Saminskaya. Moscow. Sretensky Monastery Press, 2014. 320 pages, illustrated. In your book there is a chapter dedicated to the goal of the Church and of our Christian life. Many of us come to church with requests: Lord, help my son to enter the Institute; help me to recover my health… This is all very important, too, but what is the goal of our Christian life? The goal of the Christian life is Christ. Christ is not simply some kind of idea, He is not a philosophy, Christ is not Someone Who is far away in heaven. Christ is the greatest experience that a person can have in his life. He is the greatest reality of all the realities of life. The ancient Greeks used to say, “There is nothing new under the sun.” One great saint replied, “There is nothing new under the sun, except Jesus Christ.” He is our goal. Vigil, prayer, fasting, chastity, virginity—all this we do in order to attain one goal: Christ. Vladyka, here in Russia people love Elder Paisios very much, as you probably know. Very, very much. Why do you think it is him in particular? (Smiles.) The Lord gave him the gift even during his lifetime of loving people, of loving people very much and of praying for all people, for the whole world. And I believe that Elder Paisios had this gift from God—to support the whole world by his prayers. 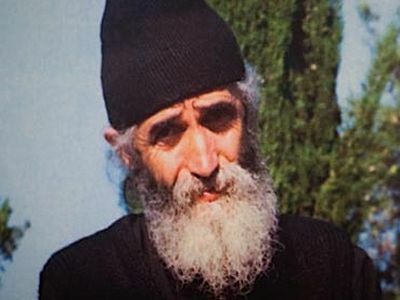 Everybody knows about Elder Paisios today, although he was a simple, humble man somewhere in the forests of the Holy Mountain, illiterate, who avoided people: if he saw a gathering of people he would avoid it. How did the world find out about him? On Cyprus sometimes I visit schools and talk with the pupils. They may not know about Christ or the Mother of God, but if I say “Fr. Paisios” everyone understands. Vladyka, today much separates people, including politics. How can we remember that we are all Christians of the various Local Churches—one Body of Christ? Orthodox Christians, we are all the Body of Christ, because we perform one and the same Divine Liturgy and communicate of the Body and Blood of the Lord. At every Divine Liturgy the whole Orthodox Church is present—all the patriarchs, archbishops, metropolitans, bishops—the whole world. We are all the Body of Christ. I arrived in Russia and communed of the Holy Sacrament4 of Christ. I didn’t understand anything during the Divine Liturgy, because I don’t know Russian. Only (he says in Russian) “Gospodi, pomiluy”5 and “Axios,” too—I heard that yesterday, but this isn’t important. What is important is that it is the one and the same Body and Blood of Christ. And you, when you travel to Greece, will not understand anything during the Divine Liturgy, perhaps, but you can receive Communion. The same thing applies to our Orthodox brethren, the Arabs in Syria, and our brethren in Africa, and in the whole world. The Body and Blood of Christ unites the Church. We love all people, whoever they may be. But our brothers according to the spirit are members of the Orthodox Church. Our brothers according to the flesh are the whole world; but according to the spirit, only Orthodox Christians. 1 Hesychast — a person who prays while keeping silence. 2 cf. Luke 21:19. The Greek or Church Slavonic word for “patience” really means more than just “waiting”—it means patient endurance, bearing something difficult, painful, or unpleasant right through to the end. On November 23, 2013, the Holy Synod of the Patriarchate of Constantinople accepted the resolution to canonize Elder Porphyrios (Bairaktaris) of Kafsokalivia. His commemoration date is December 2, on which OrthoChristian.com will post more on the elder’s teachings.On November 23, 2013, the Holy Synod of the Patriarchate of Constantinople accepted the resolution to canonize Elder Porphyrios (Bairaktaris) of Kafsokalivia. And in French too! En Franзais aussi, s'il vous plait.Merci. И по-французски тоже! По-французски, тоже, если вы plait.Merci. What a blessing it would be for the Metropolitan's book to be translated into English!